Power comes cheap these days. With $60,000 in your pocket, you can stroll into a Dodge dealership and burn out in a 717-horsepower Challenger SRT Hellcat. Want more of a track-honed hero? 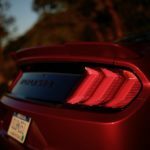 Chevy will sell you the 650-hp Camaro ZL1 for just $62 grand. 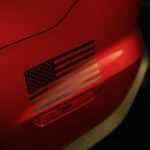 And if your loyalty to the Ford Mustang can’t be swayed by output, you’ll be able to purchase the 700-plus horsepower Shelby GT500 this Spring (likely for around $70K). There are other ways to get into the power club, too. 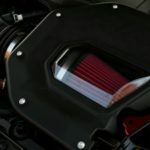 Roush Performance offers one such solution. 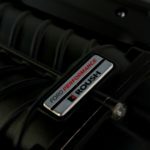 With over 50 years experience modifying Ford vehicles, Roush has developed three stages of “pump” for the 2019 Mustang GT. 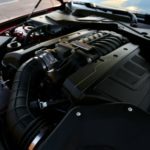 The most extreme setup includes a TVS 2650 supercharger, extreme duty half shafts, and improved cooling to boost the GT’s output from 460 to 710 horses. 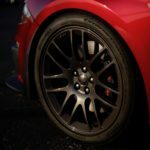 Our time behind the wheel of this Stage 3 lunacy on some twisty sections of SoCal tarmac is a test of the aftermarket’s best moves. 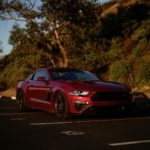 To say an improvement of 250hp changes the Mustang GT’s character is a severe understatement. 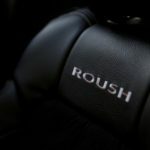 Where the standard car presses you into the back of your seat with its acceleration, the Roush ‘stang feels like a robust gentleman is crushing your face. 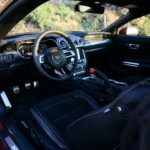 Impressively, the combination of stickier Continental tires and Ford’s own traction control system keeps the rear tires from eating themselves while you row through each gear. 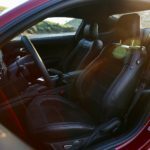 Pointed through a series of curves, the muscle car stays remarkably flat thanks to Roush’s three-way adjustable suspension system. 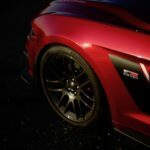 Though Roush doesn’t mess with brake hardware, this particular donor car includes upgraded Brembo brakes that haul the heathen down from triple-digit speeds with ease. Take it from us: this is too much power to rely on stock brakes. 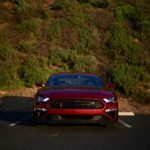 Steering is another carry-over from the GT, and though light on feedback, the Mustang responds quickly to inputs. 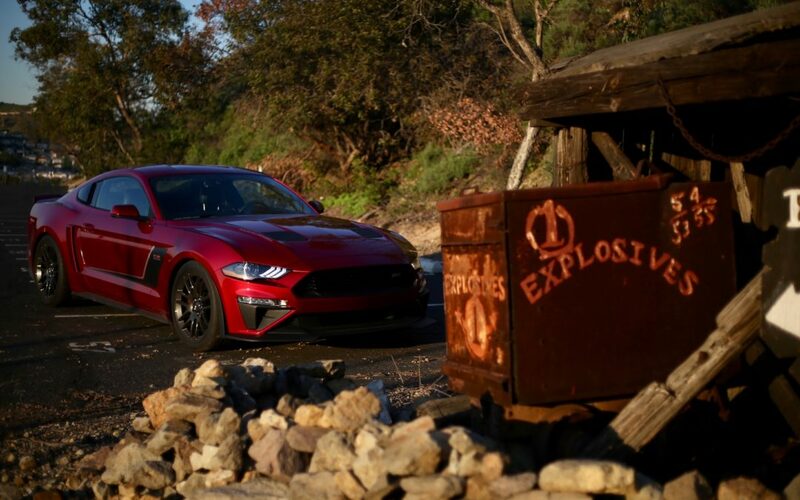 Our tester is fitted with Roush’s optional active exhaust, which features selectable modes to mute or release a terrifying roar. 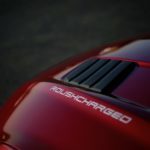 Thundering along the road, there are brief periods of silence as the supercharger crams large quantities of air into the engine. 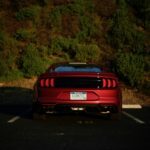 Unlike most supercharged cars, however, the Roush Mustang doesn’t whine at all. 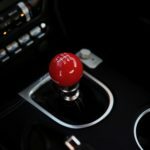 A part of us misses the distinctive sound, though without it, the car almost takes on a sleeper nature. 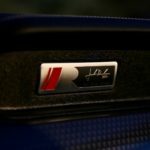 If not for the badges (which you can leave off on your own build), fellow motorists have no indication that you’re about to unleash hell on their puny rides. 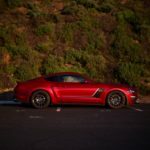 Backing off the hunt, the muscle car is wondrously easy to drive. Though not dynamically damped, the suspension doesn’t diminish ride quality. Power comes on smoothly and predictably, with pleasant surges above 3,000 rpm. 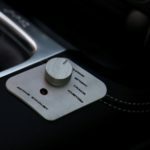 With the exhaust in touring mode, the car hums along no louder than a stock GT. 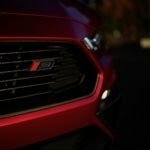 Deciding to part with $22,925 for the Stage 3 upgrade (plus the cost of a 2019 Mustang GT) will depend on your eagerness to drive a 700-plus horsepower Mustang. Though the new GT500 is due later this year, there’s no guarantee that your local dealer will have one in stock. 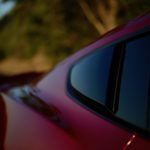 Furthermore, markups for the first several months will match demand, meaning an example at MSRP may not be available until sometime in 2020. 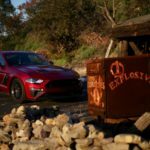 Whether the new GT500 will drive better than the Roush is yet a mystery, but our favorable impression of the aftermarket Mustang remains.